My Favorite Standup Comics | Language For You! I wanted to take a moment out to give Kudos to several entertainers who have really caught my imagination, and whose humor sends me over the top! As you know, laughter is a wonderful therapy, and these people provide it in spades! I’m going to list them in alphabetical order by last name, since I do not want to prioritize one over the other. They are all great! Miss Richmond 1981 and me after the Bingo Win! Miss Richfield is a wonderful act. She is a midwestern beauty queen whose world, and world view, seems to have stopped in 1981 when she won her title. She plays it to the hilt, and is always over the top. I have seen her shows on three cruises, and she even hosted a Bingo where I won and got a pic with her! Good Karma! On the last cruise, when propulsion problems forced us to skip Hanoi, she led an impromptu telethon of all the entertainers on board, to brilliant success. Through irony, she makes very trenchant social commentary. Just remember, she is putting us on. She pretends to be sexist, racist, and every other vice one can imagine, in the nicest, most midwestern way possible. You can’t help from loving her. (Think Steven Colbert–do you get the joke?) She is not to be missed! I have never met Lewis, but passed him crossing the street in SF one time. 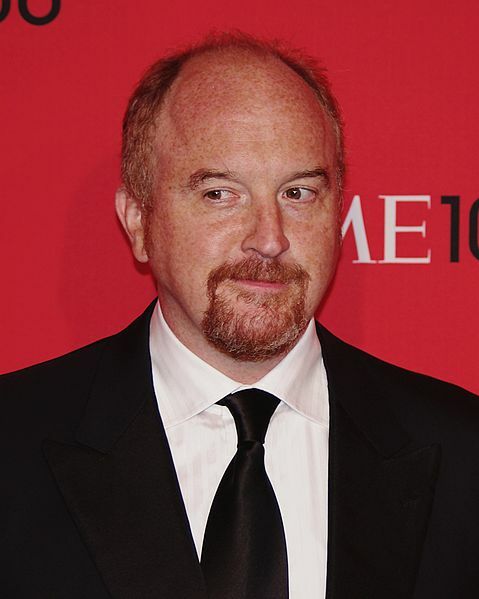 His comedy centers around the hypocrisy of our society, and about the absurdities of our lives. His humor is biting, satiric, and is in the best tradition of the Roman Satirists, Horace and Juvenal. He holds everybody’s feet to the fire, and deserves to be much better known around the country. We are better for his humor, and honesty. Another Louis/Lewis, he is the everyman comic. A Magyar (Hungarian)-American, whose last name, Székely, is approximated in Ellis Island English, CK. He helps us identify with the many slings and arrows of outrageous fortune that plague us everyday. 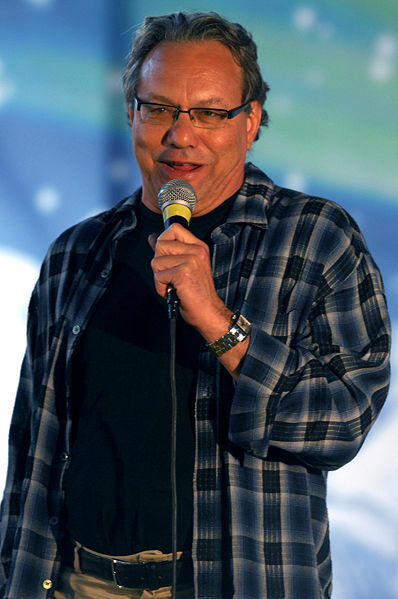 Morbidly funny, I would go to any show he is in. His TV series is one of our favorites, especially for late night viewing. He is one of the most honest, self-deprecating comics around. This is our bud! We have been on two cruises with him, and he is a real guy. He is not afraid to rub shoulders with his fans. His humor is sharp, and incisive. One of his roles is to finish up the cruise at the late night venue with a “Review of the Cruise,” and he doesn’t miss anything! He is kind to the little guy and holds the big guys accountable. 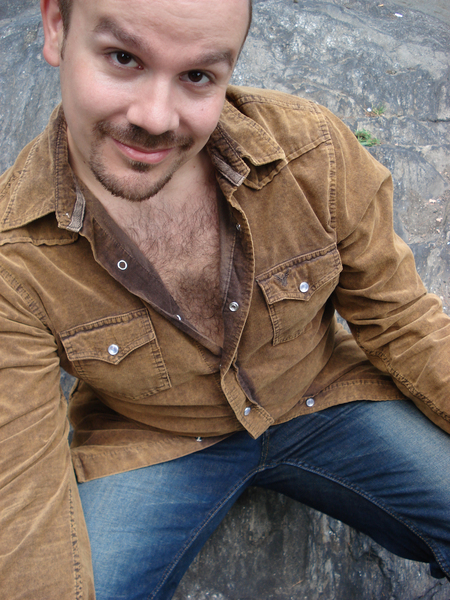 He is a recent transplant from NYC to L.A., and we wish him well in LaLa Land. You have probably seen him as the best commentator on the “World’s Stupidest…” series. A guilty pleasure, I know, but a pleasure all the same. Dixie is one of my correspondents on Facebook, and I caught her act on the Allure Caribbean Cruise in 2012. Wonderfully creative, she can do more with Tupperware than you could ever imagine. Her Off-Broadway show Tupperware Party travels constantly. Do not miss the party! She mainly tours the midwest and south, but we need her here in California! Dixie, please!! What can you say? From a hairy shouldered MTV VJ to an opinion maker. 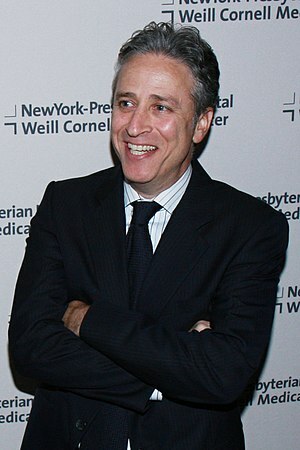 I have happily followed Stewart’s career, and the Daily Show is my preferred venue for news and commentary. He has perfected the art of liberal (= accurate) news commentary, which has a wonderful history (do you remember “That Was the Week that Was”?). 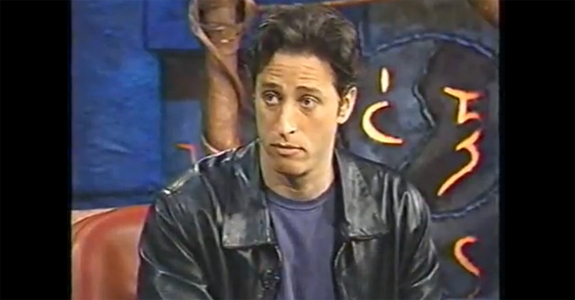 Thank the Deity that we have Jon Stewart to keep Fox Entertainment-News*, CNN, CNBC, the Democrats and the Republicans honest. Obviously, the Right Wing, Fox Entertainment-News* and the Republicans keep him largely occupied, but then the occasion merits, he is an equal opportunity satirist. * I refuse to refer to Fox as News. It bears the same relationship to real news as the WWE (World Wrestling Entertainment) has to real sports. At least Mr. McMahon has the decency to be honest about it. Fox News-Entertainment is the brain child of its CEO, Roger Ailes. Alles is a bud of Rupert Murdoch, but is hated by all the Murdoch heirs. As soon as Rupert relinquishes control, Alles will hopefully be dispatched without pay. He is a singularly odious man. Bruce is not exactly a stand-up comic, although he does this on cruises, etc. He is a six-time Emmy Award Winner who has written the scripts for the Oscars, Tonys and Grammys. I’ve been on three cruises with him, and he is a very personable guy. He knows everybody, and can dish the dirt with the best of them. 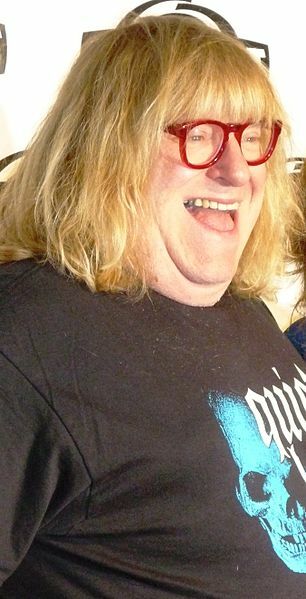 We can all identify with him, and he is desperately funny. Unfortunately we missed the satellite feed of the recent Oscars…I can only imagine his commentary on Seth McFarlane who bombed, insisting on his own writers and his own materials. That would have been worth its weight in gold! 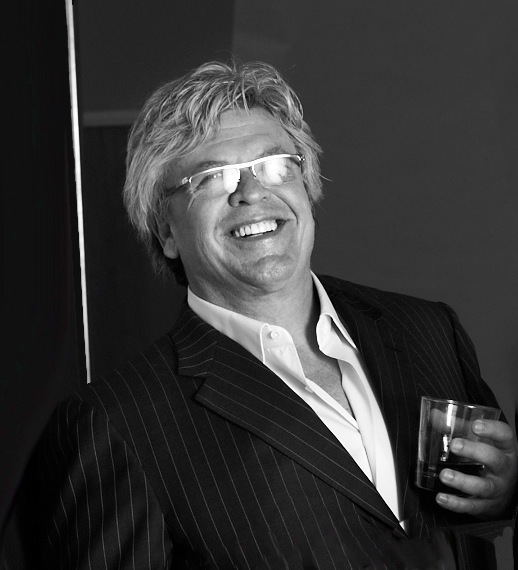 We finish, last but not least, with Ron White, one of the crew of the Blue Collar Comedy show. He loves Scotch, so he is instantly endeared to me. His low-key, dry wit is just my cup of tea (with Red Label please), and his self-depricating wit shows that Blue Collar doesn’t mean backward at all! Catch him anytime he is range. I hope you enjoy these entertainers as much as we do!